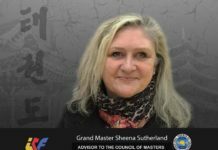 ITF HQ Promotions: Invitation for the 2018 Battle of the Bridge Children & Youth Championships Dear Grand Masters, Masters, Instructors and Taekwon-Do Practitioners, It is our pleasure to invite you and your members to the 2018 Battle of the Bridge Children & Youth Championships. Saturday 24th February 2018. 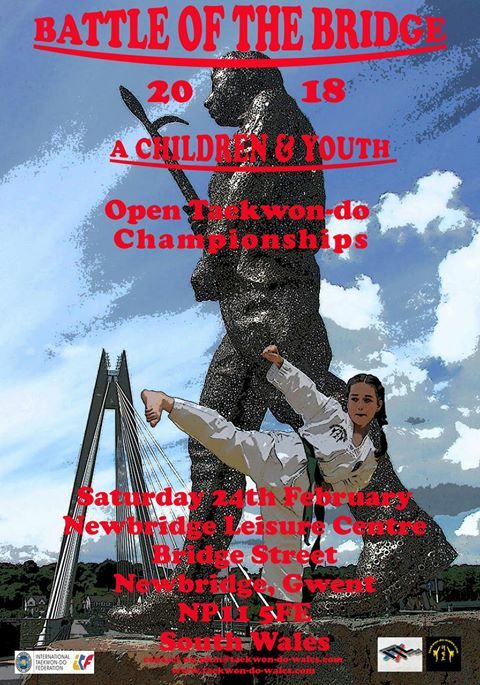 Our event is open to all groups, schools, instructors & students and our international friends. 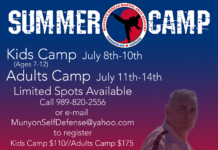 This tournament will see Coloured Belt and Black Belt children and youth, also ages 4 to 6 Pee Wee, and S/N competitors testing their skills in ITF Style Patterns, Sparring, Special Technique. We feel it is an excellent opportunity for Taekwon-do brothers & sisters to come together in the true spirit of Taekwon-Do competition. This year’s tournament will be held at Newbridge Leisure Centre, Bridge Street, Newbridge, Gwent NP11 5FE. 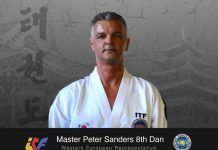 For the detailed information please contact the Head Tournament organizer Mr Peter Kent-Marrast, the head of ITF HQ Korea Association GB-10057-A on: Mobile: +44 7985 258445 Email: pkm@taekwon-do-wales.com We look forward to seeing you and your members at this event that promotes friendship and good values under the banner of “one spirit – one force – one ITF”.